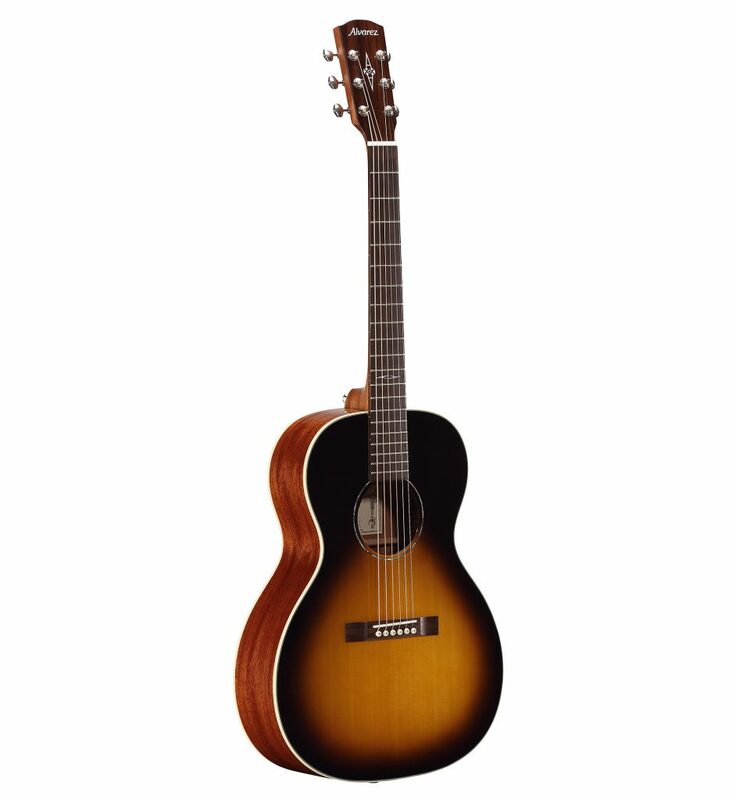 The Alvarez Artist Blues Series delivers genre specific instruments to capture the very essence of American music history. Body shapes, bracings and constructions were carefully considered before opening molds for our body shapes and finalizing specifications. 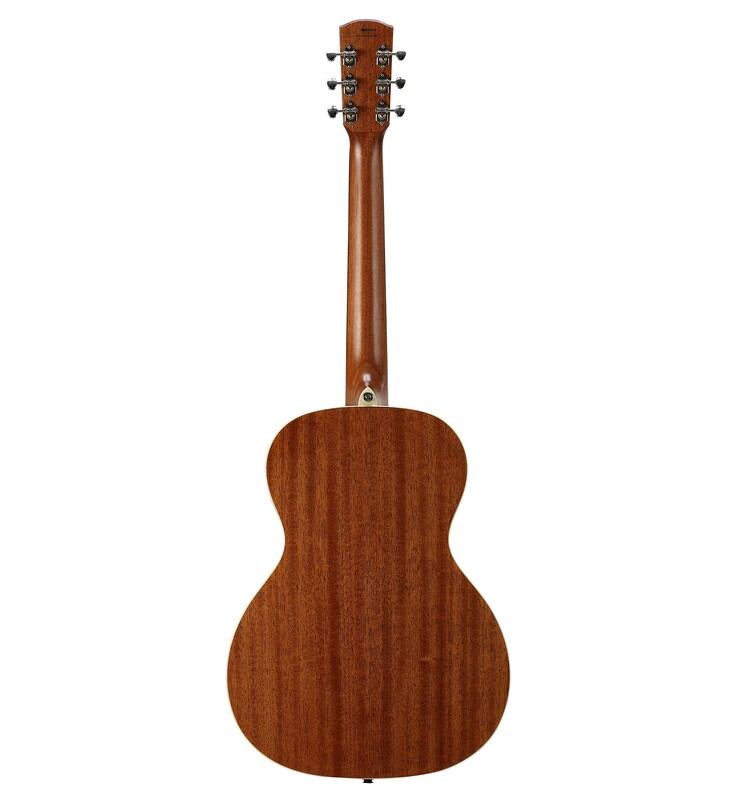 Alvarez Blues guitars have a vintage vibe all the way with a small rectangle bridge, V profile neck, 2 ¼” string spacing and back shifted bracing to make these smaller bodied guitars feel and sound just right. Tonally they deliver the compressed bluesy bark expected from such a design but the refined back shifted, scalloped bracing adds more openness for a slightly more modern style projection. The Delta 00 has a 14th fret neck join to the body, grained ivoroid binding and a perfect vintage burst. 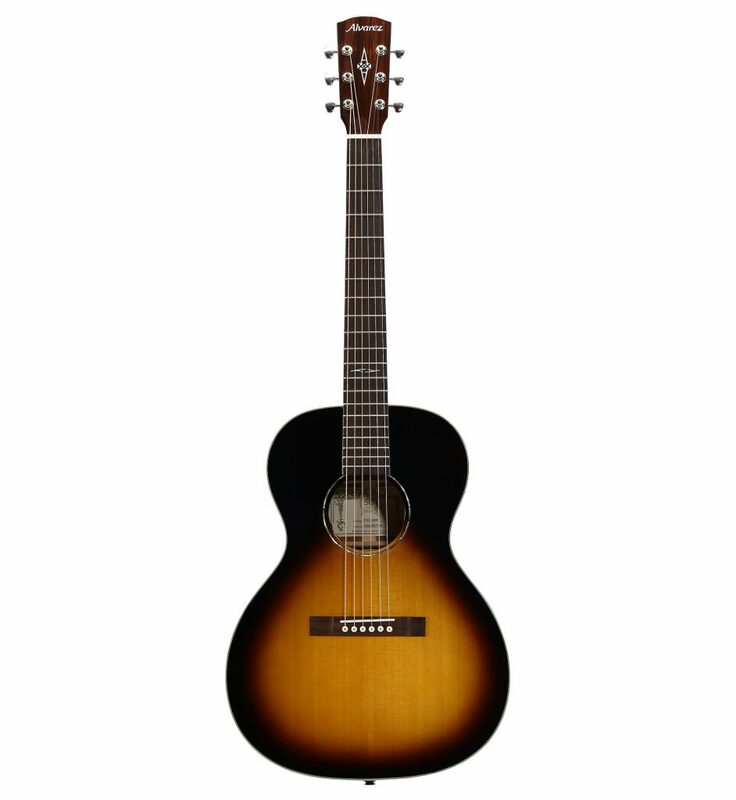 It’s a responsive guitar and although suited more towards finger style it can handle open chord strumming in its stride. 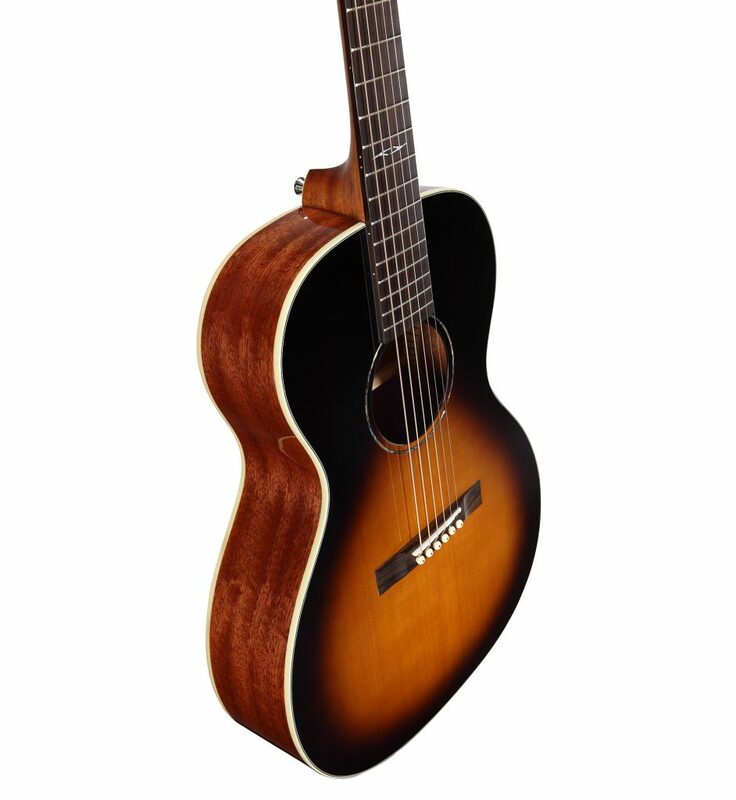 This acoustic electric model features the fantastic LR Baggs Element pick up, VTC system to optimize live performance. The term “solid top” of course refers to the soundboard of an acoustic guitar being made of solid wood, rather than being laminated. However, just because the top is solid, it does not necessarily mean the sound automatically benefits from this feature. 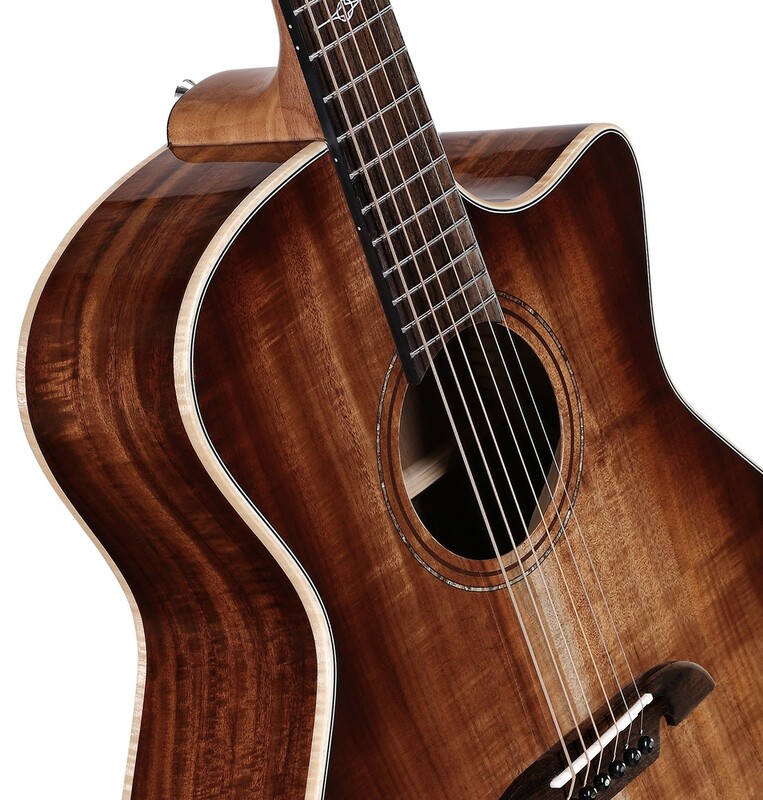 The tone of the instrument only improves significantly when the whole guitar is built correctly to optimize the energy a solid soundboard can generate. Each model is designed to get the best out if its components, and for them to work together to produce balance, lively projection and great response. These components include our designed bracing systems, real bone nuts and saddles, great quality tone woods and thin finish. All of our tops are selected by our team and graded independently of our suppliers. If it isn’t worthy, we won’t use it. These guitars demonstrate our great finishing capabilities; the gloss models have a clear deep shine from a finish that is applied as thinly as possible, again to help optimize tone.